Back in February of 2014 I received a review copy of The Market Gardener by Jean-Martin Fortier. The book tells how Jean-Martin and his wife make a remarkably good income with a 1.5 acre market garden in Quebec, Canada. There aren't too many people in the world who make a remarkably good income from "farming" 1.5 acres! Though I am not a market gardener, and I do not aspire to be a market gardener, I was inspired in my home gardening pursuits by the book. And I wasted no time in reviewing it. I think my review was the first internet review in the U.S. (the book was previously published in French for the Canadian market) and it is among my most read blog posts. You can read the review here: Farming 1.5 Acrres And Making a Good Living. After reading the book, I've often thought it would be nice to see and learn more about Jean-Martin's approach to making a living on such a small section of land. So it was exciting to find out about the new documentary movie: The Market Gardener's Toolkit. There will be three winners in this giveaway. 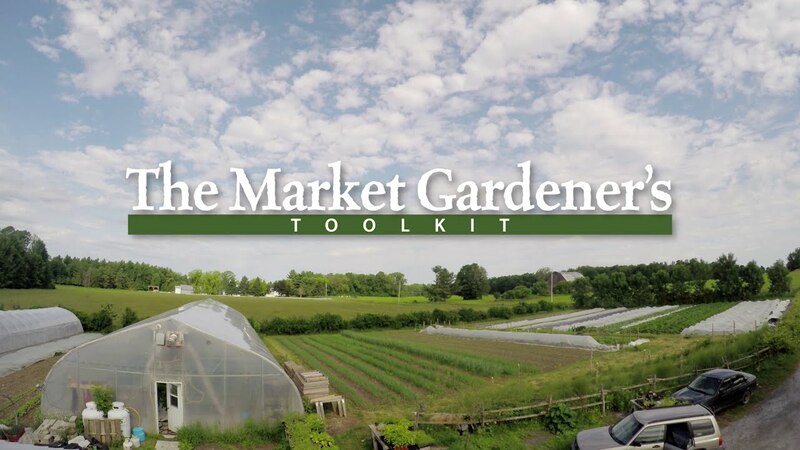 Each winner will receive a DVD copy of The Market Gardener's Toolkit. If you have ever thought of making a living (or part of a living) by market gardening, or you know someone else who has this dream, you need to enter this giveaway for sure. And if you are just a person who loves to grow your own food, I believe you will also enjoy this documentary. Either way, you will come away from the film with a realization and appreciation for how much work goes into such an enterprise. Enter the giveaway below. And be sure to sign up for e-mail notices (top right corner of this page) so you can enter future Planet Whizbang Giveaways. This contest is limited to US residents only. Three winners will be randomly chosen by Rafflecopter. Winners will be notified by e-mail and have 24 hours to respond (by e-mail) with their mailing address. If you do not respond in 24 hours, you will be disqualified and another winner will be chosen by Rafflecopter. Thanks, Herrick, for the chance to win. I have been selling Eureka lemons to a local market for a couple years--usually more than a hundred pounds. I've actually broached the subject with the produce guy, what if I brought other vegetables and maybe fruit to sell? He's interested. So this would be a good book of information for me! Take a look at 1:15 in the video trailer. Is that a Whizbang Garden Cart? Sure looks like one to me! It sure is. And seeing that it is, I've decided to run a special deal on my Whizbang Garden Cart plan book to coincide with this particular giveaway. For anyone who is interested, check the right column of this page for the special. Our small burg has just started it's second year farmers market. So proud of all the locals. Looks like a wonderful dvd. Long to see it. Yes, it has been released and you can purchase a copy At This Link. Ordered it, thank you! If I win one I'll put it in my library. I have several families who want to do this. It's exciting! My copy arrived yesterday and it is excellent! Yes, LOTS of work! Whew! I was tired just watching them! I'm 52 and wish I had known about this life 20 years ago. But it would be easy to take the info and scale it to your own circumstances, The video is full of "hands-on" how-to covering everything from how to plant seedlings, what tools work best, what to construct a greenhouse out of and more. Ditto on the tired just watching and wish you had known about this 20 years ago. 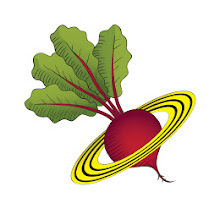 If this local food movement was around when I was a teenager I would have pursued it with a lot of passion. I'm 58 and I'm coming to terms with my physical limitations. So I garden and experience much of what is happening vicariously. And I can use my small internet platform to encourage and cheer all of these hard-working visionary farmers from the sidelines. I appreciate your comment! Welcome to the Planet Whizbang Giveaways web site. Every two weeks I will feature a new giveaway here. No purchase is necessary to win. Winners are chosen randomly by Rafflecopter. Please use the e-mail signup above to be alerted to new giveaways. I do not gather, share, sell, or spam your e-mail. Copyright, Herrick and Marlene Kimball, 2016. Simple theme. Powered by Blogger.